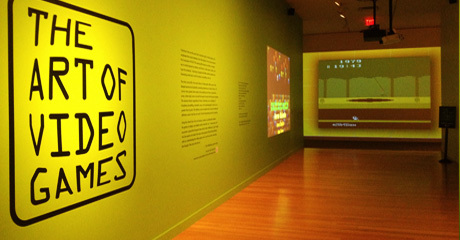 The Smithsonian American Art Museum (SAAM) explores how video games evolved into an artistic medium during the 40 years since the arcade video game Pac-Man jumped to the home video console. Kiosks allow visitors to experience how technology advanced over the years. Star Strike. Inspired by the special effects of the first Star Wars film (1977), Star Strike players defend the Earth against enemy spaceships and bomb an alien war machine. Speed and 3D enhance the action. Marble Madness. Inspired by artist M.C. Escher, game designer Mark Cerny was 18 when he developed the arcade video game Marble Madness. He utilized the trackball to control a marble through complex obstacle courses and enemy attacks. It was first published by Atari in 1984. Super Mario Brothers. The third version of this popular game pitted Mario against adversaries in the Mushroom World. Its music was advanced for the technology, amplifying the journey of discovery and the elements of surprise. Tomb Raider Adventurer-archeologist Lara Croft was the first female protagonist in a best-selling video game franchise. Successive versions incorporate increasingly complex music and technical elements, making Croft’s international exploits even more compelling than the original, depicted here. Bioshock. A powerful story propels players into a dystopian city inspired by philosopher Ayn Rand and Art Deco architecture. In a reversal of Rand’s ethical characters, Ken Levine created a world free of ethics or rules where game decisions affect the outcome. Flower. “Games have so much freedom. You can go anywhere you want,” says creator Jenova Chen. Flower strives to offer a carefree experience to the player, providing intimate visual contact with the landscape. Mass Effect. Forty years of technology and art allow today’s artists to create realistic visual interactions tailored to the player with detailed, sophisticated environments, characters and light and color effects. Mass Effect is a vivid example. Significant Developments Exhibition video panels trace the evolution of games from the earliest efforts to recent, complex games. 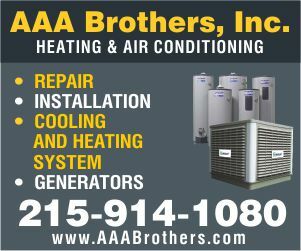 ← Why Is U.S. Inauguration Day Held in Cold of January?